MY 5 YEAR OLD TOLD ME SHE WANTS TO GO SOMEPLACE WHERE NOBODY - ProudMummy.com the Web's Community for Mums. 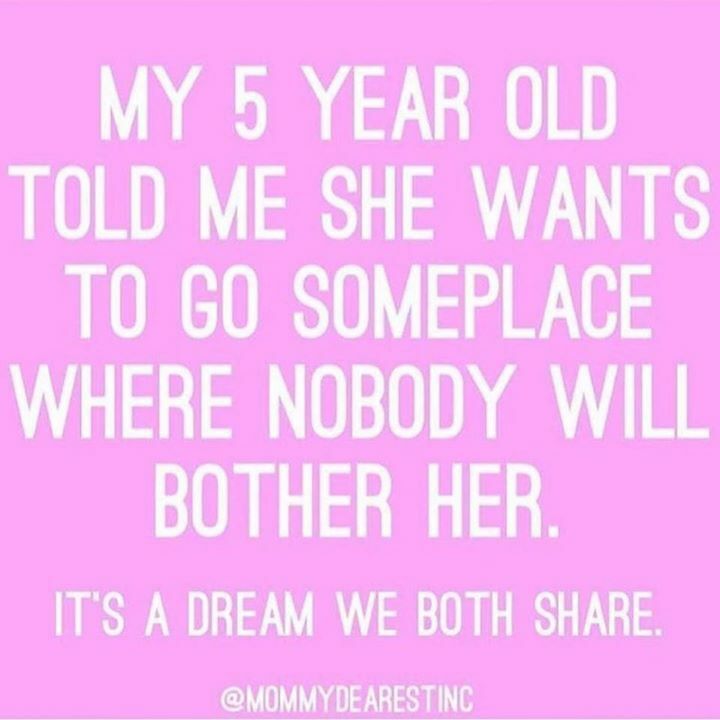 MY 5 YEAR OLD TOLD ME SHE WANTS TO GO SOMEPLACE WHERE NOBODY WILL BOTHER HER. IT'S A DREAM WE BOTH SHARE.